This week's "Dear Younger Me" letter comes from the founder of Complete Game Ministries, Justin Dillard. 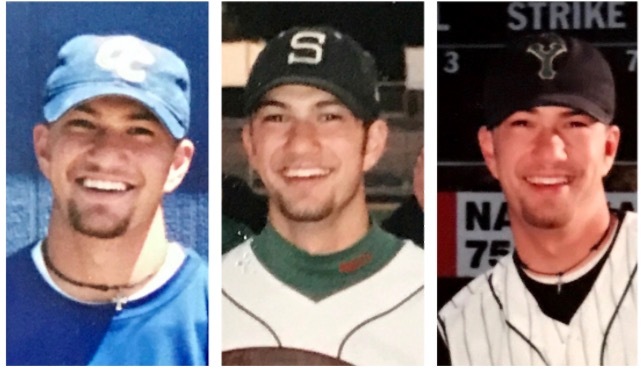 Since concluding his college baseball career, Justin returned home to Colorado in 2005 to begin coaching high school baseball as well as begin vocational youth ministry. After serving in the church from 2007 to 2011, he founded a local baseball ministry called Complete Game Ministries. Beginning in January of 2016, Justin began his service on staff with Athletes in Action Baseball as the National Teams Director. His role is to oversee, promote, recruit, setup and organize all National Baseball teams. Additionally he manages social media and alumni relations. Justin currently lives in Highlands Ranch, Colorado with his wife, Michelle, and their kids Caroline, Jackson, and Lilah. They are members of Centennial Covenant Church in Littleton. Justin is passionate about meeting athletes where they are with the gospel of Jesus Christ and he feels blessed that God has provided him the opportunity serve the Kingdom in this way. It doesn’t turn out the way you hoped, but it is immeasurably more than you could ask or imagine. Let me explain. Your love/hate relationship with baseball will teach you more than you’ll know. For example, you’ll hit in the three hole and be the starting All-Centennial League catcher on the State Championship Smoky Hill team your senior year but you’ll be pissed that you don’t make all-state or get invited to the Top 40 game. Then that summer you’ll play for Cherry Creek and win a Connie Mack State Championship but you’ll be pissed about your stats. Let me save you some heartache, because later, you will forget your stats anyways and the championship rings will end up in the crawl space in your basement. You will, however, continue to have a relationship with both coaches and many of your teammates from those teams for decades to come. You’ll even officiate a few of their weddings (I know that sounds irresponsible, but I’m getting to that part). Now you’re a freshman at a powerhouse JUCO in Arizona. Your path to the big leagues looks good. You will have success by hitting over .400 during your career there while stealing a lot of bases, hitting a lot of doubles, and becoming an outstanding bunter and two-strike hitter. But that’s not going to be enough for you. While you’re getting on base and swiping bags, you will look to the guys dropping bombs and be discontent. You are an undersized catcher playing JUCO baseball in the steroid era, and this will test you. You’re seeing guys that you’re competing with for a spot work half as hard as you in the weight room. They get big while you don’t. This may surprise you, but you legitimately consider it. But when you talk to someone who you think will support you in juicing, they ask you, “Is that who you are? Is that who your parents raised you to be? If it is, then do it. Are you like that guy? You want to grow up overweight and bald while you can’t have kids? Then go be that guy.” Thank God he called you out or you probably would’ve done it. After your two years in Arizona, you will sign to play D-1 in Texas (even though you wanted to go to California) where you and your girlfriend will transfer together. The summer before you go to Dallas, you get to do something that you wanted to do since Coach Johnson told you about it. You get to go to play with Athletes in Action in the Alaska Baseball League. This will be the first time your faith will find its way onto the field with you. Being in team discipleship will change the way you engage your faith forever. You’ll experience what it’s like to have fellowship everywhere and not just in the church. Your expectations of what the baseball brotherhood is will raise far beyond the mission of winning baseball games to a mission that never ends. Even though this is a monumental summer for you spiritually, you’re pissed because you finished the season on the DL with a thumb injury. You think you’ll redeem it by returning the next summer to play, but once again, the incredible happens, but it’s not what you hoped for. When you start fall ball of your first year in Texas you start slow but by the end of the fall, you’re back to your normal self. In fact you find that your swing and speed at the new ballpark become a triple-making match made in heaven. You’ll be disappointed to find out that after a pretty outstanding performance at the end of fall that continued after Christmas break wasn’t enough to put you above a prominent recruit who also transferred in but hadn’t played all fall with a broken wrist. You got beat out by someone who had never played at that school with you. Desperate to contribute, you try pitching long enough to miss a lot of bats with your curveball and hear a pop in your elbow. Tommy John Surgery and a 15-month rehab comes next. It gets worse. The pitching coach that got you hurt becomes the head coach by the end of your rehab. When you’re ready to come back, coach cuts you. That’s it. You won’t know that your last game is your last game until 15 months later. With a healthy arm and eligibility left, your journey to the big leagues will fall short. Not what you hoped for but immeasurably more than you can ask or imagine. Through all of that, the girl from church small group stays in the trenches with you the whole time. She knew you before you knew Jesus and loved you anyway. (I know you were an arrogant jerk before Jesus. You end up loving Jesus but you’re still not a “nice guy”. I can’t wait for you to see it. It’s hilarious). She went with you to college and watched you fight through concussions, steroids and Tommy John while growing in faith. Out of all the teammates that you’ll have in your life, none will be better than Michelle. She’ll challenge you, build you up and bring out the best in you. Good thing because the hardest game you’ll ever play still awaits: parenting. Past your concussions and academic problems, you develop a passion for learning and God’s Word. You’ll get into ministry because you’re no longer an athlete and you want to be important. It doesn’t take you long to figure out that you’re trying to give away something you didn’t have. I’m telling you, there’s no better accountability than when people are looking to you for spiritual leadership. This drives you to the Word and you’ll give it away as you go. There will be few things in life that will give you more joy than ministry happening somewhere it wasn’t “supposed to happen” like a baseball field or facility. You’ll mourn the loss when someone you share your love for Jesus with leaves your ministry team but you’ll rejoice in your part in the Kingdom when you see them continue to do the same thing for others. 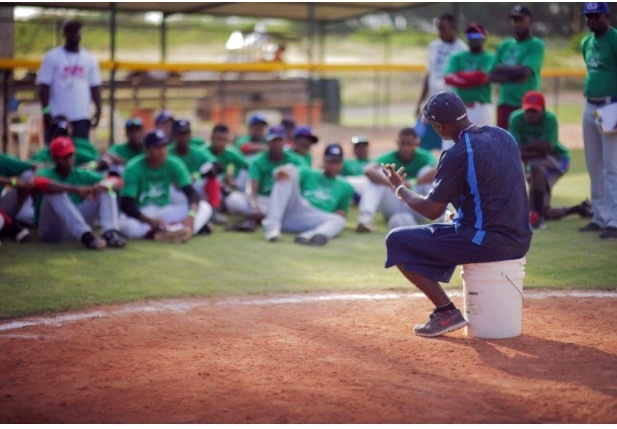 You’ll see pictures of guys you don’t even know who are learning from guys you discipled teaching baseball players about Jesus from a bucket. That will be all the encouragement you need to keep going. Over time, you’ll surprise yourself at what God will do through you and you’ll be humbled why He chose you as His instrument. Past your issues with being undersized, you develop a love for the weight room and you put on the size later in a healthy way. Past Tommy John and the 15-month rehab, you’ll be able to play catch with your kids in the front yard and impress your players with your “cannon” for years to come. Unlike many of your former teammates, you never stop loving to play. Maybe it’s a lack of closure thing. Or maybe you finally figure out what it’s like to worship God through the game and you can’t get enough of it. This won’t make sense to you, but even though you have some incredible baseball experiences before your playing career ends, you have far better ones afterward. You’ll get to play in the Dominican Republic, Mexico and Venezuela. You’ll even get to suit up with the Red Sox for a day and hit between Dante Bichette and Trot Nixon. You’ll experience life through baseball finally because you’re not trying to “make it”. Your why changes from “making it” to sharing Jesus through the game. Ultimately, God redeems the years you wasted pointing your life toward the game and dragging Him along when you point your life at Him and take the game with you.